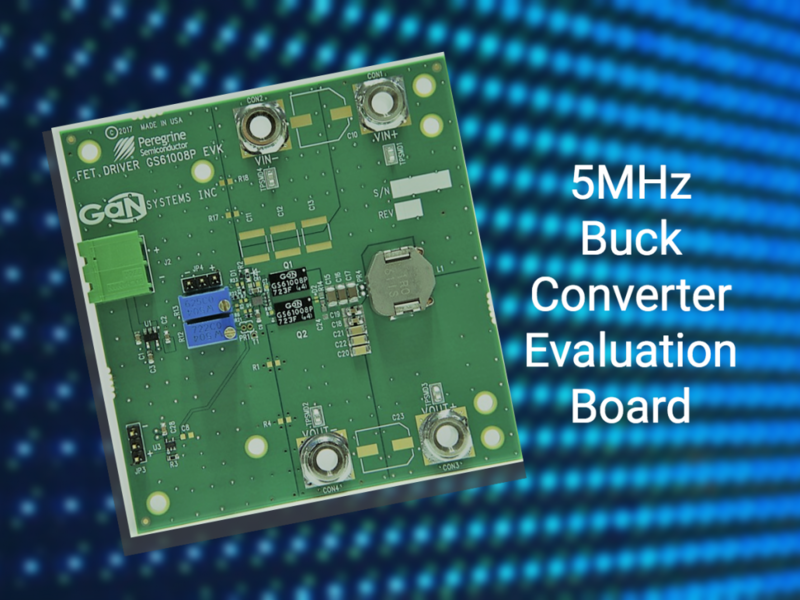 OTTAWA, Ontario, Canada, February 27, 2018– GaN Systems, the global leader in GaN power semiconductors, today announced the availability of its 5MHz buck converter evaluation board (GS61008P-EVBHF) using GaN Systems’ 100V E-Mode GaN transistor and pSemi’s PE29101 integrated high-speed driver. The outputs of the pSemi driver can provide switching transition speeds in the sub nano-second range. This evaluation board allows customers to benefit from higher switching speeds, enabling smaller peripheral components in a variety of applications including DC–DC conversion, AC–DC conversion, wireless power charging, and LiDAR. This product will be showcased at the Applied Power Electronics Conference & Exposition (APEC) in GaN Systems’ Booth #1041. GaN E-HEMTs exhibit much higher efficiencies than MOSFETs and exceeds performance in terms of switching speed, parasitic capacitance, switching loss, and thermal characteristics. 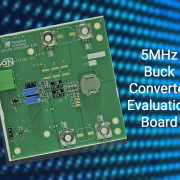 This evaluation board highlights the high frequency, high speed, and high efficiency performance of GaN Systems products. Please visit www.gansystems.com for more information and at major distributors, or come see GaN Systems at Booth #1041 at APEC.